People wanting to buy an Apple Watch may be able to ask for a custom engraving, much as the company has allowed with products like the iPad and iPod before it, although the option may not be available in time for the product's launch. Then information comes French website iPhonote, citing a source claimed to be tied to Apple. The person allegedly said they are virtually certain engraving will become available, whether sooner or later. If the company follows its past pattern of past engraving options, such as with the iPad and iPod, only online orders will qualify. 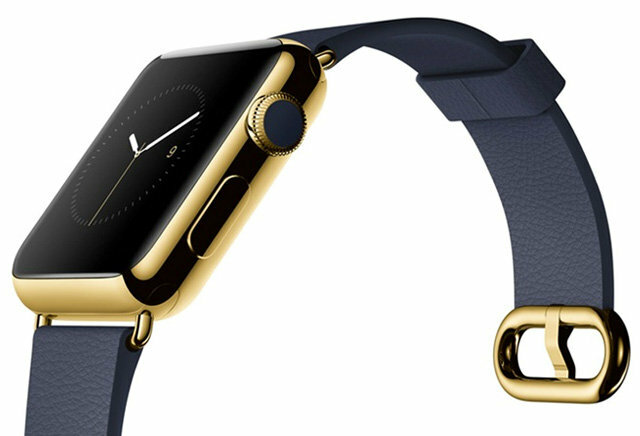 One question is where an engraving would fit on the diminutive, wearable Apple Watch. There is very little space around the bezels of the Watch, and the underside is dominated by a heartrate sensor, as well as some of Apple's own markings such as the serial number. iPhonote is relatively unknown site with no established track record. Apple does however have a history of offering engravings for iPhones, iPods, and iPads. Conventional watches are frequently engraved, moreover, and the option would make sense given Apple's emphasis on personalization in official marketing. The company has taken the Watch to a number of fashion magazines, and highlighted different combinations of body materials and wrist straps. More details about the product are due to be announced at a Monday press event, whee AppleInsider will be in attendance with live coverage. The company is already preparing San Francisco's Yerba Buena Center by raising Apple logos and building an exterior structure thought to house a demonstration area.